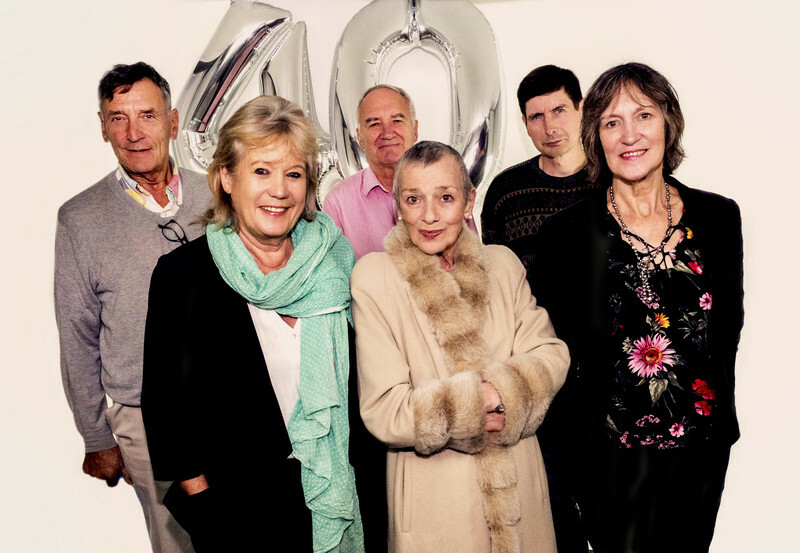 In writing a 40th anniversary story, writer Mark Wright was set a tremendous challenge; to create a tale which offers each of the show’s main characters a chance to shine, while at the same time maintains a tone which resonates with the core themes of the show and celebrates what we all love about Blake’s 7. Seeking to use all the surviving principal cast however brings its own challenges; sadly Gareth Thomas (Blake) and David Jackson (Gan) are no longer with us and rights issues preclude the use of elements from the show’s fourth series, meaning that Glynis Barber cannot reprise her role as Soolin either. 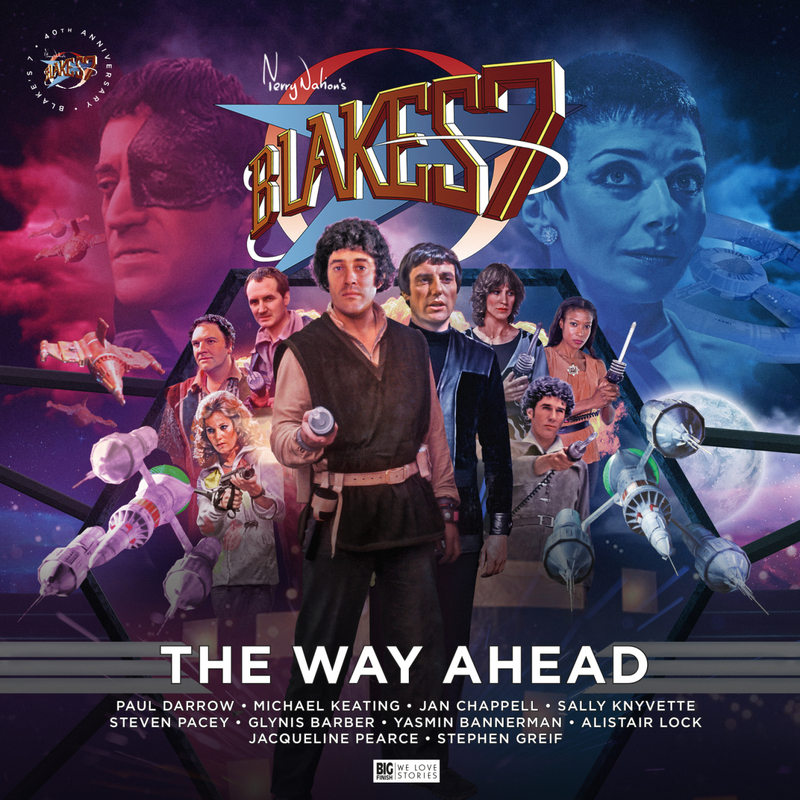 Acknowledging that Blake’s 7’s four-year television run was a game of two halves, with and without Blake, this anniversary celebration focuses on his legacy while spinning around the focal point of its other major protagonist, Paul Darrow’s Avon. Drawing on a setting from Darrow’s own Lucifer novels, an older Avon’s reminiscences to his lover Magda form a framing device, allowing us to recall adventures on the Liberator – first during Blake’s tenure and later under Avon and his Series C crew. It is an elegant solution, one which gives us the best of both worlds and allows the scope to tell a much grander tale across two hours. Project Aquitar Heading to a rendezvous with the rebel leader Avalon, the crew discover that the Federation has a grotesque new weapon in its arsenal. Determined to divest Travis of his new toy, they are lured into a confrontation which highlights the differences between Avalon and Blake’s approaches to fighting the Federation. Dissent Some years later, after the intergalactic war, Avalon spies an opportunity to push the rebel’s advantage against a crippled Federation and calls for a major offensive led by the Liberator, having little time for Avon’s cautious approach. Her actions cause a split in the crew, with potentially disastrous consequences for them all as she goes after a target at the heart of the Federation war machine. I have been deliberately vague in terms of talking about the story, as ‘The Way Ahead’ is a great ride, with surprises I would not wish to spoil. However, Mark Wright’s links back to the past are judiciously made; from the title, a clever mirror to the show’s first episode, to the few scant lines in Cygnus Alpha which he has built upon with the element aquitar and the Federation’s abortive investigations into a teleport system. As a mainstay of the show, ever the trump card over their foes, you really feel the revulsion as our heroes see it put to an utterly perverted use as a weapon of mass destruction. 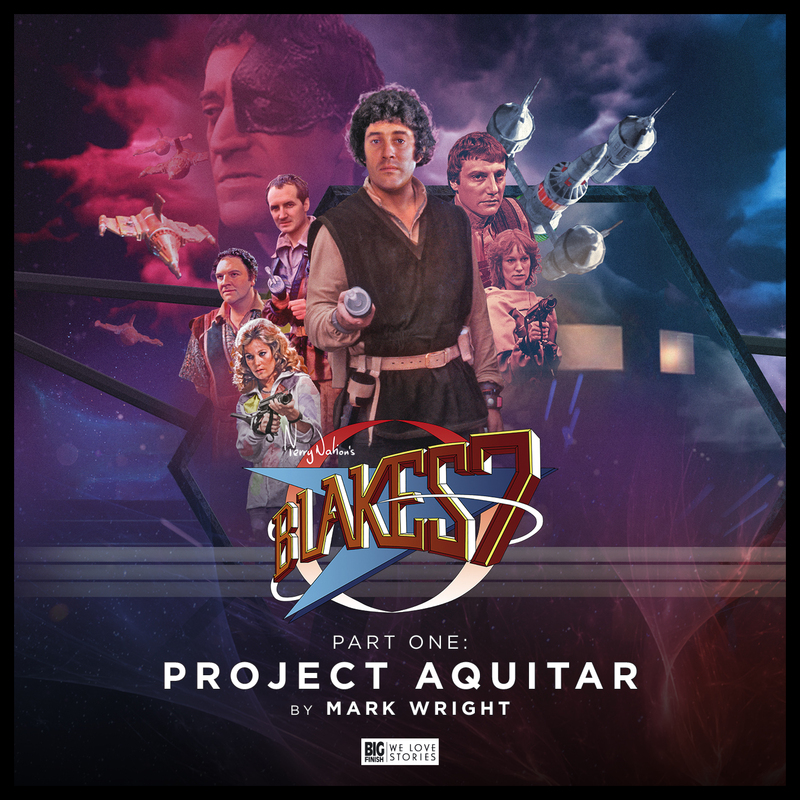 Understandably, Project Aquitar aches for the lack of Gareth Thomas; Blake is variously asleep in his cabin, on the flight deck when we are not or staying on board with Gan while the others beam down. And yet, somehow, there is not a moment when Blake’s presence is not felt in the story and the use of the fellow rebel leader Avalon helps in this regard. In fact, Blake’s absence from the action grants opportunities to the others which would doubtless have been his; Jenna (Sally Knyvette) enjoys a substantial face off with Travis (Stephen Grief) and there is a there is strong thread for Cally (Jan Chappell) too, whose rebel fighter past gives her an interesting perspective on Avalon. I loved the scenes when they clashed. Naturally, Avon and Vila (Michael Keating) enjoy plenty of drama and banter in the process of saving the day. In Dissent, Tarrant (Steven Pacey) and Dayna (Yasmin Bannerman) come into play, with the latter still progressing her personal goal of killing Servalan (Jacqueline Pearce) – through another exciting but necessarily failed attempt – while Tarrant is at the controls of Liberator as it enacts Avalon’s plans, against the advice of an increasingly frustrated and panicky Orac. As ever, Alastair Lock superbly provides the voices for both Orac and Zen. Setting the framing device years later, as well as bringing in Glynis Barber as Magda, casts the whole story in a reflective tone and it seems a perfect note to strike. Avon’s recollections provoke us to consider the rebels and Avalon helps with this by holding up a mirror to the crew. Drawn from the episode which bore her name and as a comparable rebel leader, she brings a Blake-like impetus to the story with her fervent anti-Federation zeal. It also helps that Avalon’s appearance on screen provided a fairly blank slate to draw on and Olivia Poulet creates an increasingly determined character who develops across the two stories. With superb music and sound design from Simon Power, including the subversion of familiar sound effect, these two hours of story swept by leaving me wanting more and reaching for the DVD box sets to relive the original adventures they reference. As is abundantly clear in the extras – a further seventy minutes included with this release – everyone involved in the production looks back on the show with real fondness, with tributes to those in the cast and crew who are no longer with us, and that affection continues today through the audio stories. 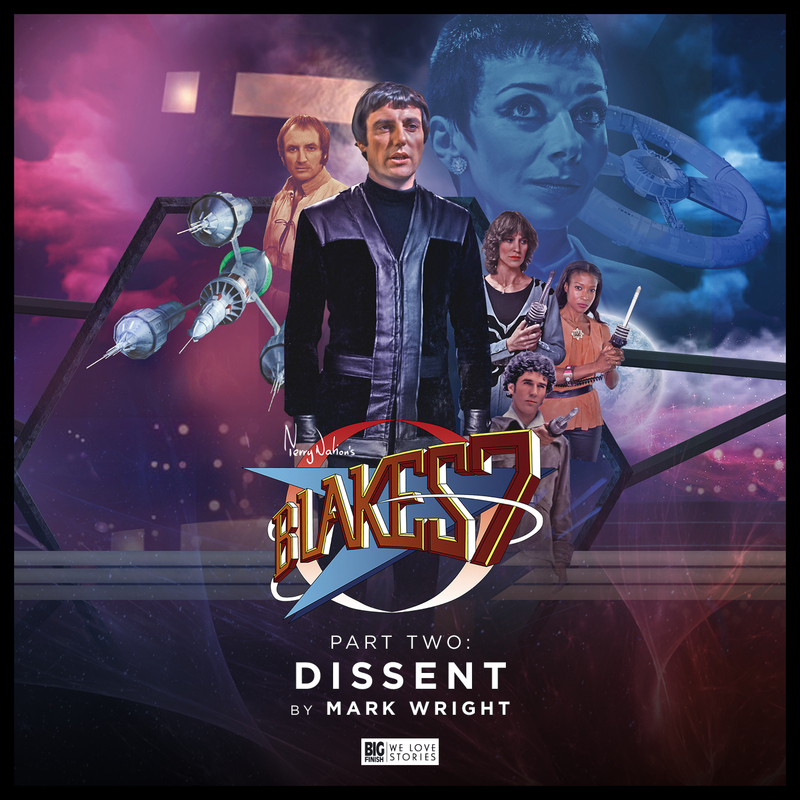 It seems churlish to give such a labour of love a mere rating, so instead I’m going to suggest that this is a must-have for any Blake’s 7 fan – and if you have yet to lower your force wall to the classic audio series, it is probably a great place to start too.